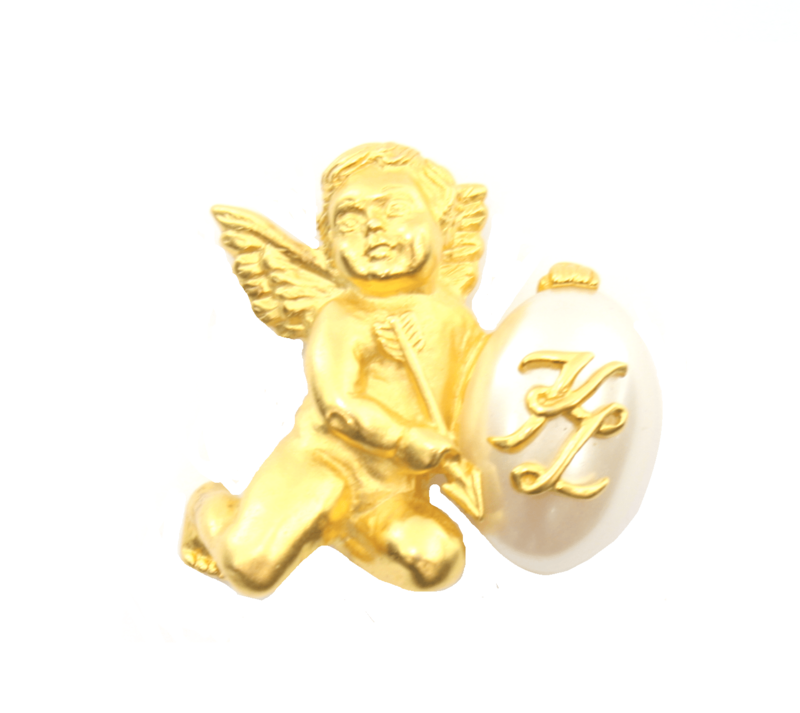 Karl Lagerfeld Gold Gilded Cherub with Pearl & KL Insignia, Ornate. KL insignia stamp on Center Back. 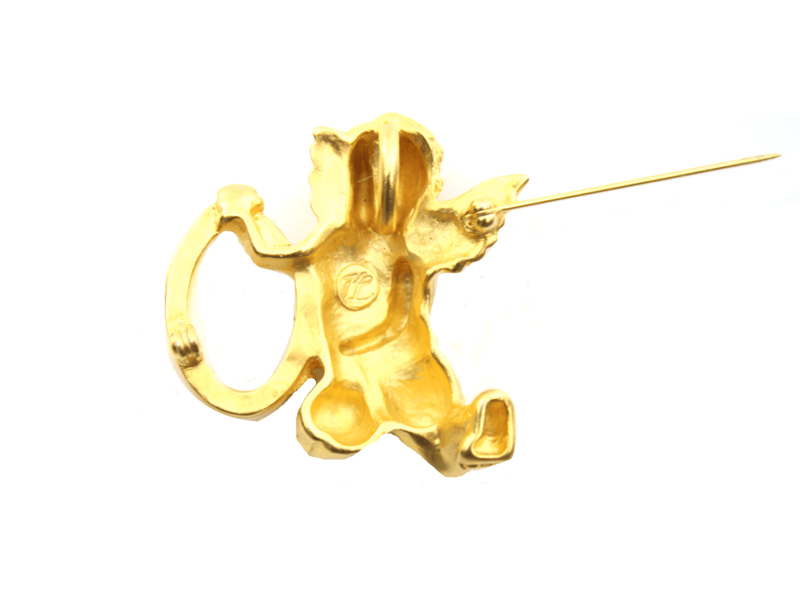 Shop Karl Lagerfeld Jewelry At The StealVault.com. Up to 90% Off The Retail Price. Condition: Excellent, No Visible signs of use.